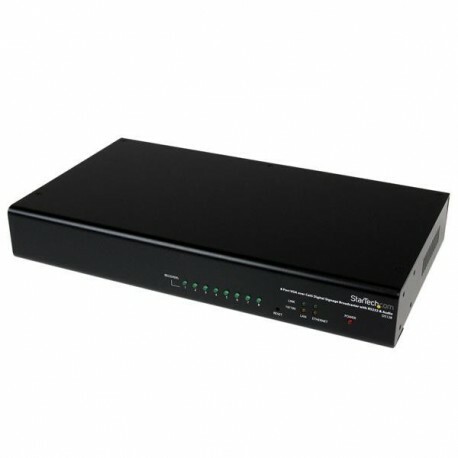 Compatible with virtually any VGA-capable PC or Digital Signage media player, the DS128 VGA Splitter lets you deliver VGA video as well as the accompanying audio and serial control signals to the connected DSRXL" text="Cat5 VGA Receivers (DSRXL - purchased separately), all through one Cat5 cable. Comprised of this unit (DS128) and the corresponding receivers, our DS Series offers several unique features compared to our other VGA Extenders, including the ability to extend RS-232 serial signals from the source to each display for controlling the displays as well as Java Client Management Software (DSNet Manager) that simplifies adjusting the settings for each receiver and display. 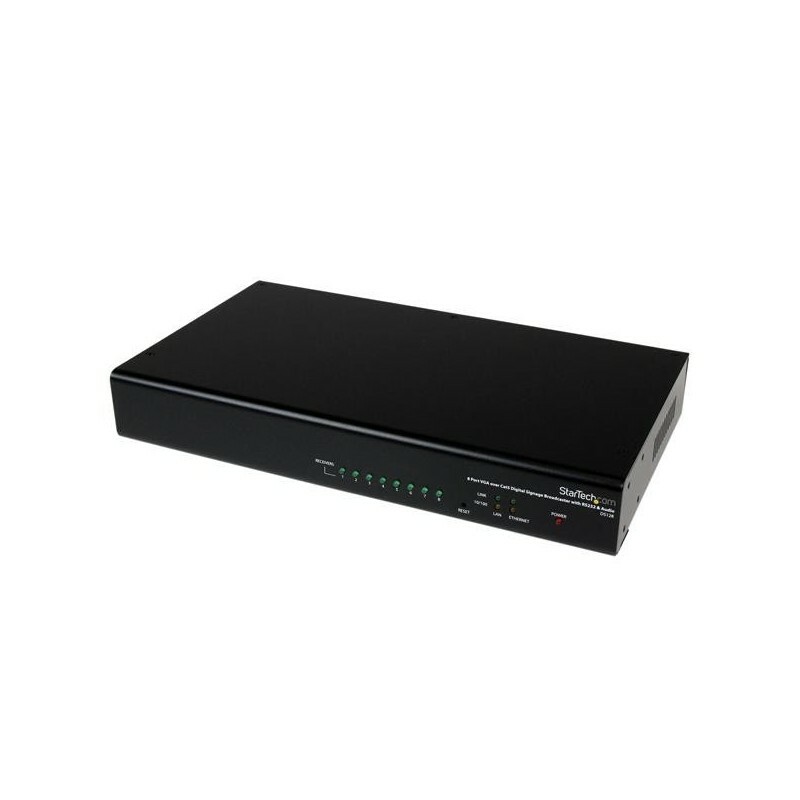 The sofware can be controlled via an Ethernet port on a PC/Media Player or on a LAN (Local Area Network). - One system, one Cat5 cable to deliver and control your video, audio, and serial signals to each display. - High resolution support of 1600x1200 ensures high quality signal delivery for high definition content. - Included DSNet Manager software saves time allowing to tweak each receiver and display anywhere on a local area network or a wireless local area network. - Future additions are easy with the ability to split each receiver to two displays or daisy chain up to five receivers.